It has been a messy start to the season for Manchester United. Their best player Paul Pogba and manager Jose Mourihno have been at odds almost an entire year now and don’t look like making up any time soon. Their three signings consisted of center midfielder Fred for $53 million; youth Digot Dalot for $20 million; and a 3rd string goalkeeper on a free transfer. The Red Devils have only got 6 points from the maximum twelve, and already are four points behind the top four. Almost nothing has gone right. Almost, because, quite unexpectedly and almost miraculously, Luke Shaw has emerged after two years in Mourihno’s dog house and seized the starting left-back spot. His performances have caught the eye of Gareth Southgate, who called him to England’s national team for friendlies in September. If Shaw continues on this trajectory, then the ex-Southampton player may yet fufill the promise and potential that made him the most expensive teenager ever purchased by Manchester United. It feels like Shaw has been around forever, yet he is still only 23, not yet close to his prime. 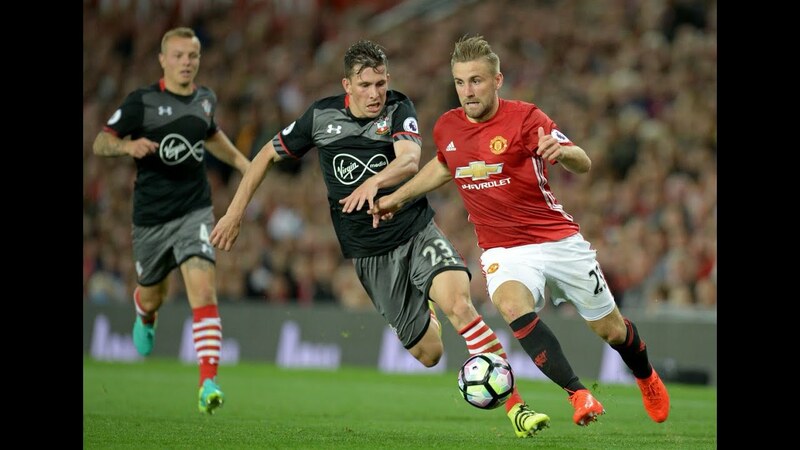 His breakout season came at the tender age of 18 years, under a relatively still unproven Mauricio Pochettino, and it was spectacular; Shaw was nominated for the PFA Young Player of the Year and was selected for the PFA Team of the Season. That summer, he transferred to Manchester United amid interest from Chelsea for around $30 million. It looked like the club had found it’s heir to Patric Evra. Shaw’s years at Manchester United have been rocky, with many more lows than highs. Before he could even make his debut, then-manager Luis Van Gaal publicly ripped him, saying that his fitness was not good enough. After only making 16 starts his first season, Shaw was performing excellently to start the 2015-16 campaign until a horrific double leg break in versus PSV in the Champions League caused him to miss the rest of the season. Under Mourihno, Shaw has failed to crack 20 appearances either of the previous seasons, and looked well out the door with only one year remaining on his contract. Fortunately, circumstances gave the left back one last chance. Ashley Young was late for Manchester United’s preseason after starting for England in the World Cup, and the club did not make any purchases in that position during the summer. Shaw, after multiple previous accusations of failing to take care of his body, spent weeks with fitness coaches in a bid to impress Mourihno. It worked. Shaw has followed a solid preseason in which he finished first in the fitness tests with an even better start to the 2018-2019 campaign. What has been most impressive about Shaw has been his skill and technique between the lines and in buildup play. Left and right-backs are usually more workhorse roles than flair; the amount of running and defending that a fullback does during a game is ill-suited for a skilled player. There are exceptions – Marcelo, Dani Alves, and Benjamin Mendy have thrived as play-makers operating from deeper positions, and managers like Pep Guirdiola often “invert” fullbacks – and Shaw might just be one. He has already made five key passes (passes that lead to shot) and completed seven dribbles through four games. The path forward for Shaw to claim both Manchester United and the England left-back spot for the next deacde is straightforward. Both used Young, a 33 year old ex-winger, as a stopgap solution for the past season as Shaw struggled with injuries and failed to make the World Cup squad. Needless to say, Mourihno and Gareth Southgate would like to upgrade. There isn’t much competition for Shaw as well; the only England national that could match his natural abilities is Danny Rose, who has been hampered for the past two years with injuries of his own. Shaw’s talent has never been in question, only his mentality. If he can keep up this form – a big if, given his habit of falling out of fitness – then this season might see the best of Shaw. Dominating the left space on the pitch with his physicality. Cleverly interchanging in between the lines. Thriving both on defense and attack thanks to intelligent movement and pace. Mourihno may have been harsh on Shaw the previous two years, but with the clock on his tenure running out, he’s trusted the leftback. If Shaw keeps rewarding him, it might change Man United’s season around. This article was originally published here at CUGuyBlog.